One thing that would help you use these price level aides is to add time cycles. You mention that a low (or high) is only a low (or high) until it is exceeded. If you use the time frame of the original move as a guide, then the levels will be valid during a time cycle equal to the original range. 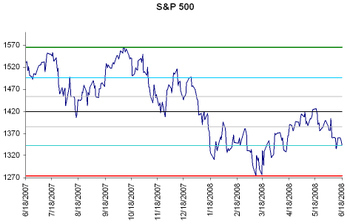 Actually, you will see the 50% price retrace level is very often hit at exactly 50% of the time of the original range. I'm glad that well-known and trusted firms discount technical analysis. It discourages other people from using it, and therefore creates profitable oppurtunities for me. If everyone was looking at the same indicators, there would be no way to profit from them. Thanks! 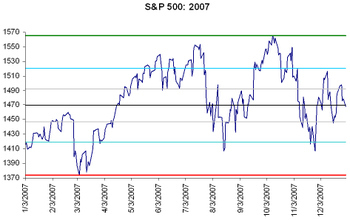 In hindsight, Fibonacci retracements are eerily accurate. 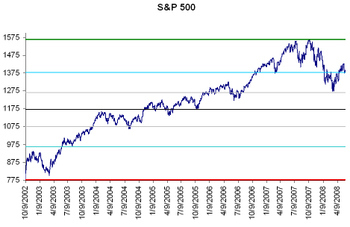 But in real-time, how can a trader/investor know which Fib level (23.6%, 38.2%, 50%, 61.8%, or 76.4%) is the money shot? Here's some insight into how monitoring the level of Buy Programs and Sell Programs in the electronic futures markets can give indications as to which level dominates in any given setup. Hope that you find this interesting. People should live the Sound of Music. Not hypocritical, not artificial, straightforward, simply, this is true; to treat heart of compassion,MBT M-Walk women shoes to love compassion, which is good; mind and communication MBT M-Walk women shoes instruments, integration of human and nature, which is the United States. The sMBT M-Walk women shoes ublime taste of a man, a great sport. Thanks for your personal marvelous posting! I truly enjoyed reading it, you could be a great author. I will ensure that I bookmark your blog and will come back in the future. I want to encourage one to continue your great writing, have a nice day! Your mode of telling everything in this piece of writing is really fastidious, every one be capable of without difficulty understand it, Thanks a lot.